Made of high-quality 304 stainless steel, the surface is round and lustrous, which can prevent corrosion and rust in a humid environment. The design of the solid structure: greatly enhances the bearing capacity of the product, and is safe and reliable to use. 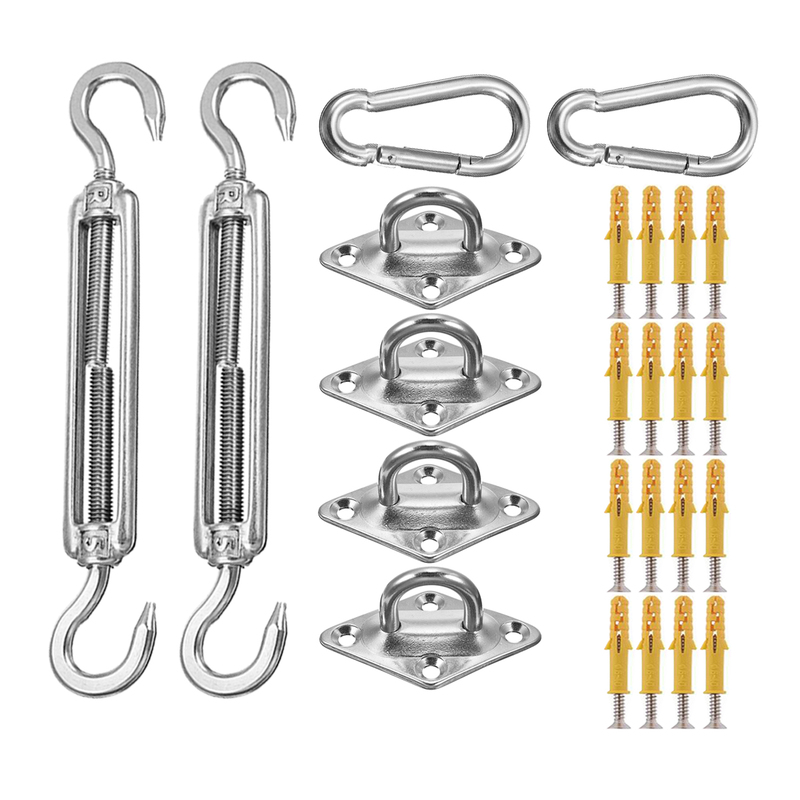 This item is a set of fitting kits for the shade sail. M5 Rhombus Pad Eye is used to create a mounting point on the building or a tree. M5 CC Turnbuckle is used to tension the rope. M5 Snap Hook is used to attach the corner of the sail to a mounting point. Self-Tapping Screw is used to fix the pad eye on the building or a tree.